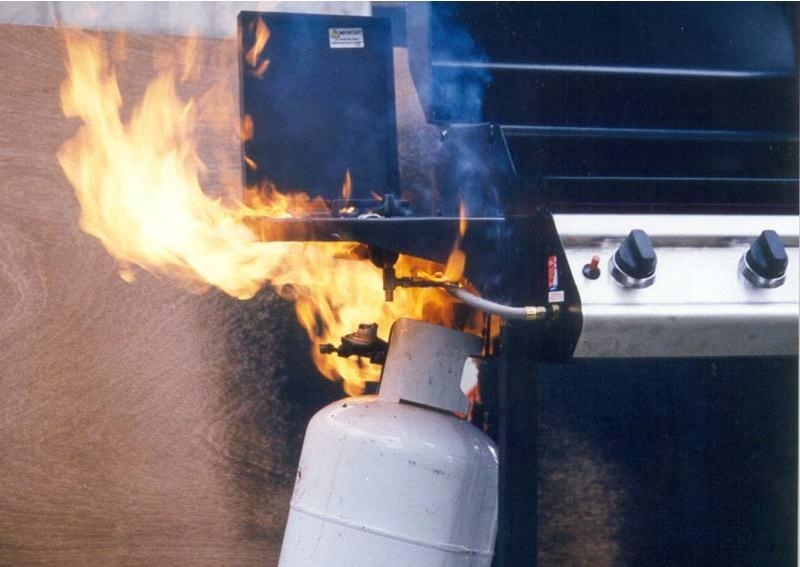 Bottle fires are caused by a loose connection at the bottle end or at the BBQ end or a faulty or broken regulator seal. Both of these can be solved by using soapy water around each connection when the gas is turned on and each time the bottle is changed if it bubbles there is a leak so tighten the connections until it stops, if it still leaks call a gas fitter to fix the leak do not try and do it yourself., simple enough eh? but hardly anyone checks for gas leaks with water, we gas fitters do, so you should too!. Fat fires are more common, too much fat, fatty food or not keeping the BBQ clean! Both of these fires are very dangerous and life threatening so PLEASE make sure that you check connections regularly and that you dont use too much fat, little is good, use a fat spray like Canola on the plate NEVER on the grill part while the BBQ is lit. ADHERE by these tips and you will have safe and fantastic BBQ's!